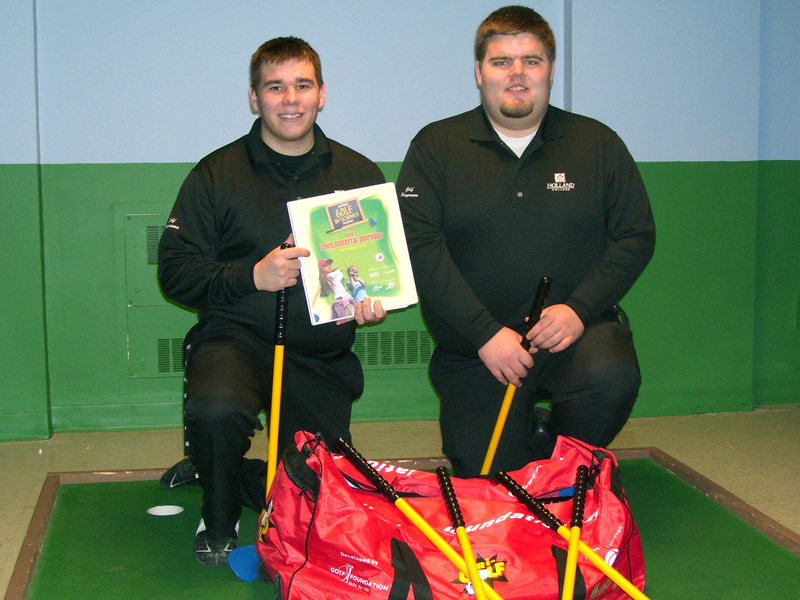 PGM students Travis Smith (left) and Will O’Brien with the equipment that is used in the National Golf in Schools program. Elementary school children in O’Leary and Cornwall took a few golf lessons recently when Holland College’s Professional Golf Management students hit the road to offer instruction through a pilot project of the National Golf in Schools program (NGIS), a learning resource developed by Physical and Health Education Canada in partnership with Golf Canada and the Canadian Professional Golfers’ Association (CPGA). By giving children in elementary schools the opportunity to learn the basic skills required in golf – and many other sports – while having fun, the program is aimed at long-term player development, explained Jeff Donovan, Golf programs instructor at Holland College. “The lessons included in the programs are playful, interactive, and focused on skills development,” he said in a recent interview. The Professional Golf Management students participated in the NGIS program to complete the requirements for one of their courses, but Jeff thinks the benefits to both the elementary school students and the golf students show that the program could be expanded to encompass more schools next year. “When our students graduate and head out to work in the golf industry, they will be expected to teach junior players, so having time to gain experience through this program will be invaluable to them, “ he said, noting that the program is intended to feed into the very popular CN Future Links junior program. 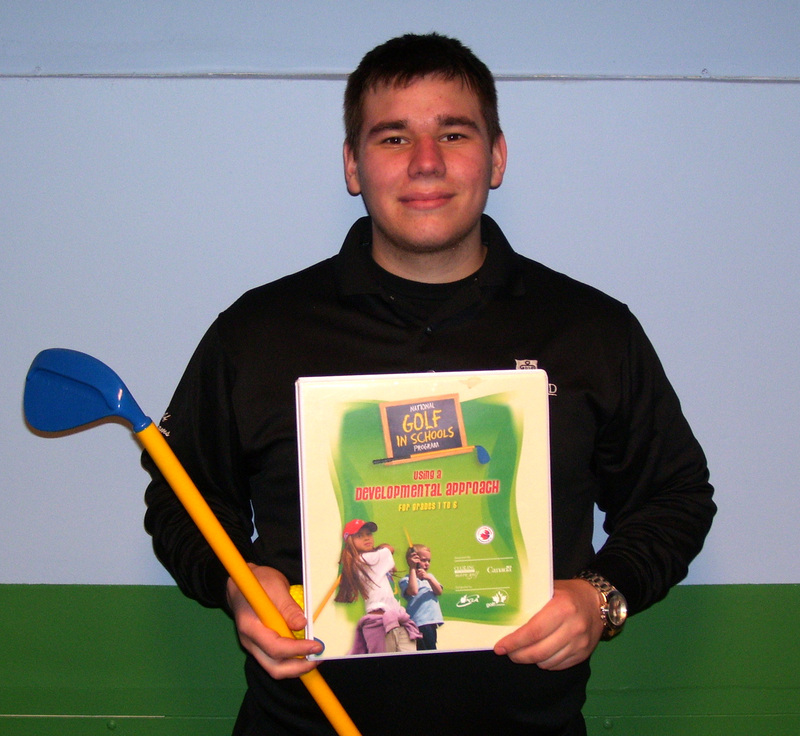 Chance Conrad, a student in the Professional Golf Management program agreed. For many of the children who participated in the 40-minute classes, this was their first exposure to the game, and the activities in which they participated reinforced the idea that golf can be an enjoyable form of exercise. Jeff hopes to expand the Professional Golf Management students’ involvement with the National Golf in Schools program next year by going into more schools with his students. The Professional Golf Management program is a one-year business diploma program which builds on Holland College’s two-year Golf Club Management program with advanced business management courses and practical work experience. The program utilizes the Canadian Golf Academy for the fall semester of instruction with a focus on developing the player and a complete understanding of the golf swing and game strategies. The Professional Golf Management program enables graduate students to meet existing community college business education requirements for a career in professional golf.